Where can I really start as I look back over the last year. It was a massive journey for everyone at PSBH; staff, Jonny, customers & everyone in-between. That sounds like an intro to a ‘This is Your Life’ thank you speech haha. The main reason for writing this is to review where I thought beer was at last year and where I believe it is heading. I think last year was one of the most important years for British beer culture, not only did a handful of amazing new bars open, but people’s drinking habits were beginning to take a massive shift. Early on in the year we visited the Winter Ales Festival in Manchester, sampling the delights & horrors of some of the ales being produced in this country. I wont go into the bad ones as I would rather focus on the good. One example was the crowd gathering around a certain pump. This pump was dispensing a new IPA from a brewery in Honley, Summerwine. This beer was called Diablo and as we drank our halves we chatted to some of the most important people in the North West’s beer scene. Almost exactly a year on from that point, this IPA by Summerwine graces our bar but on keg not cask. That’s how fast last year’s “craft” beer scene was moving. This neatly brings me on to talk about beer trends of 2011. I think IPA was one of the biggest in the commercial sense, this almost lost abbreviation was on the tip of everyone’s tongue, as well as in the fermenters of most brewers in many forms. Traditional British IPAs, Black IPAs, Rye PAs, Double IPAs, IRAs… the list is massive. IPA is such a subjective style, no one alive knows what an original IPA actually tasted like, so every form is a guess and every brew a homage. A lot of the best for me were heavily influenced by craft brewing in America; hop forward, strong and dangerously drinkable. There was however a simmering undertone of a lean to more traditional hop usage, Thornbridge Seaforth springs to mind with the hops Target and Progress being used to great affect. Darkstar’s Green Hopped IPA also used target masterfully as a finishing hop. The next big one, obviously is keg which has become the driving force of the craft scene in Britain. Whilst Camra may not agree, a lot of exciting things have gone under pressure this year and have brought many new drinkers away from mass produced beer to handmade excellent products. Whether it be key keg, steel or corny. I will always love cask conditioned beer, but I will also always love keg. Things have changed and I believe all methods of dispense should be embraced and enjoyed by beer lovers. Now onto Hop trends. This is pretty easy, anything big and American continued to grace our beers. Citra, Centennial, Columbus, Cascade, Simcoe, Amarillo… this list could go on. These have surfaced in many beers and even the big guys are taking notice. However, as these hops started to run out people started using alternative varieties. Nelson Sauvin use has been increasing over the last few years, for all the right reasons, and along with it’s lesser know cousins Motueka, Pacifica and so on, they are helping to bring more interesting flavours to our beer. The latter end of the year brought us beers with Aussie hops. Stella & Galaxy for me have become the stars of 2011, packing an almighty punch into lower gravity pale ales. So what does 2012 have to offer? I think this year is going to be even more important than the last as the thirst for new and exciting beers grows stronger. I see the top craft breweries going wild with crazy, unheard of styles that will push the envelope further forward. Hops this year are going to be thin on the ground, especially the big C Americas. This will push brewers to be more imaginative with what they can get hold of Double Fuggles IPA? Stella and Galaxy are still in abundance so expect more great usage of them. The rise again of noble hops is going to be more widespread with strains coming from the U.S. such as Sterling & Liberty. A few more NZ strains are on these shores too, Green Bullet & Pacific Gem being the most notable. People working together is going to be massive in 2012 too. We kicked off the year with the ultimate meeting of minds, brewing minds that is, with Darkstar, Quantum, Magic Rock, Red Willow, Summerwine & ourselves brewing a beer together. I think people working together because they love something is always a good thing. The Venus project is another example with brewsters collaborating together to produce a series of one off beers. What a great idea! A few breweries have caught my eye too. Quantum is going from strength to strength and Tempest are my ones to watch along with the Bristol Beer Factory. The Tap East micro brewery also sounds very interesting although anything made in London is like gold dust now with the likes of The Kernel, Brodies & Camden making excellent beers. I’m keeping my beady eye on Darkstar too. 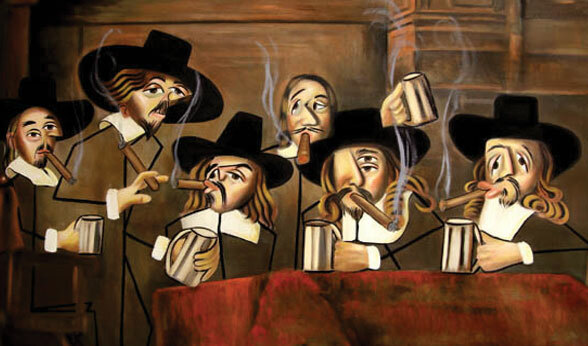 For me, these guys sum up the best in British brewing. Traditional, revolutionary, trend setting alchemy at its best. Just check out their website and look at the first three specials of this year and then you will know where I am coming from. But it’s not just the UK that excites… Small artisanal breweries are popping up all over the world; Japan now has a flourishing scene and Denmark has Mikkeller, pushing brewing to the next level. Mikkel from Mikkeller is definitely searching to make liquid gold and he is not far off. As I write this Emelisse has dropped into our cellar, another one to watch out for in 2012 from Holland, along with De Molen. All over Europe it’s going brewing mad, Norway is another example with the excellent Nogne O. I have heard rumours of stuff kicking off in Cataluya and even northern France too. What I’m trying to say is there has never been a better time for beer lovers than right now, so get yourself into a pub and drink something new and exciting, there is enough of it. Hands up who can name some Dutch breweries and beers. Heineken? Check. Grolsch and Amstel? Check. La Trappe? Probably. De Molen? If you are reading this – almost certainly. And then? Today the Netherlands is the home to some of the best beer brewed in Europe, produced by an increasing number of innovative micro brewers and beer firms (who either borrow another brewery or contract out their beers). But, to quote Michael Cain, “not many people know that”. First, a little bit of history. Sandwiched between Belgium and Germany you might think that the Netherlands may have a long history as a centre of traditional and quality brewing. In fact it’s brewing history in the second half of the 20th Century resembles most closely that of the USA. Thus by about 1980 the Dutch brewing industry was reduced to one giant firm (Heineken – which also owns the Amstel brands) and less than 20 independent breweries, all making large quantities of adjunct ridden industrial pilsner and little else. There were perhaps two glimmers of light in the general gloom. In the south of the country the monastery at Koningshoeven was making what are now branded as La Trappe beers and there remained the annual Bokbier tradition of strong dark autumnal beers (of which a bit more later). However, the worldwide brewing revolution didn’t pass the country by and from about 1980 onwards a trickle of microbrewers opened up. Unfortunately many of these produced wannabe Belgian-style beers which rarely matched the originals in either quality or finesse. Post production quality control left a lot to be desired as well. 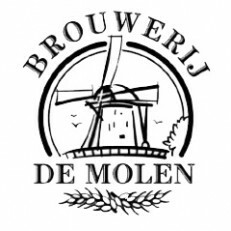 De Molen – based in Bodegraven between Leiden and Utrecht, “The Mill” is based under a windmill sited next to a canal. Just how Dutch is that? Menno Olivier is the head brewer and his beers already feature at PSBH. The best beers are the imperial stouts and big IPAs. The first imperial stout from De Molen was Rasputin (10.7%) and this, along with the wonderful Tsarina Esra imperial porter (11%), remain De Molen’s signature beers. Emelisse – in the far south, the Grand Café Emelisse has emerged as one of the best new Dutch brewers in the past few years. New beers flow thick and fast and all are of the highest quality. The draft Black IPA (8%) was one of the highlights of the foreign beer bar at the 2011 Great British Beer Festival. Espresso Stout (8%) is superbly accomplished, as is the Imperial Stout (11%) and the recent Blond (6.8% and laden with New Zealand hops). 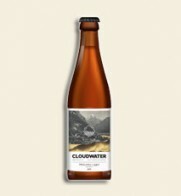 Barrel aged imperial stouts and barley wines are also increasingly seen along with excellent Double and Triple IPAs. De Schans – one of the older established micros, based at Uithoorn near Schipol airport since 1997. Guus Roijen has built an enviable reputation for the consistency of his beers and in the past couple of years has started to expand his range with several new and experimental offerings. The hoppy, spicy Saison (7%) has long been, and remains, a personal favourite Dutch beer. The Triple (8%) has been revamped and is now hopped only with Nelson Sauvin, as is the new Saison Ambree (7%) Also check out the Imperial Stout (8.5%) and the contract brewed Van Vollenhoven’s Extra Stout (7%). De Eem – based in Amersfoort, Ruud van Moorst has been borrowing other brewer’s kit to make his excellent beers since 2006. Notable are the single hop IPAs – the oddly named Rosebud (6.7%) is hopped with Centennial, while Chinook (7.3%) and Warrior (4.6%) speak for themselves. 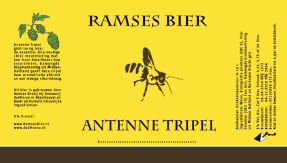 Ramses – another beer firm making an exceptional range of beers. Antenne Tripel (9%) includes local honey to give an aromatic nose while the generous use of American hops gives a firm, bitter base. Shire Stout (8.4%) is a complex wonder with vanilla, coffee and juniper berries in the mix, while Hop is a big 6.5% single hopped IPA using Pacific Gem hops from New Zealand. Others in the wide and impressive range include Den Dorstige Tiger, another big 6.6% IPA and Mamba Porter (6.4%) described as an American Porter with Amarillo, Chinook and Crystal hops in the grist. And this is just the tip of the iceberg. There’s really no space to more than name check other rising stars such as De Prael, Duits & Lauret, Praght, Christoffel (check out the hoppy 8.7% Nobel) and Pelgrim (whose draft Amarillo Tripel is one of my beers of the year). Finally – a quick word about Bokbiers. Almost every Dutch brewer makes at least one of these dark, strong (minimum 6.5%) autumn beers, traditionally launched every October. A good place to try them is the annual Bokbier Festival, held on the last weekend of October at the Beurs van Berlage – on the Damrak right in the middle of Amsterdam and this year featured no fewer than 75 Dutch bokbiers. As ever it was something of a mixed bag but for me there seemed to be a steep change in overall quality this year – hopefully reflecting the great strides being made in the wider Dutch brewing scene, ironically though one of the stars was brewed by a Brit. Steve Gammage has been in the Netherlands for about 30 years but is now making some stunning stuff at Brouwerij Rodenburg. His Bronkhorster Dubbelbock, generously hopped with Cascade, Sovereign and Nelson Sauvin was a perfect marriage of traditional beer style with new wave brewing. So there you go. The Dutch beer scene – one of the rising stars but one of the best kept secrets in European brewing. Proost! Saison du Buff – Stone/Victory/Dogfish. Checking out Dusseldorf’s Altbier and the Veltins brewery. Visiting Lovibonds brewery and tasting all Jeff’s crazy sour beer experiments. Various brewdays at Quantum, Magic Rock, Thornbridge and Summerwine. Garret Oliver beer dinner at The Cross Keys, Leeds. A tremendous demonstration of how naturally and brilliantly brewed beer partners good food. Introducing friends to beer culture and converting them. Starting Magic Rock Brewing Co and the MTB at Port Street obviously. Dogfish Head world wide stout back to back with goose island Bourbon Vanilla County Stout. Magic Rock Human Cannonball & Evil Twin Soft Dookie Black and Tan. #IPAday celebration at the Grove, Huddersfield with Buxton Brewery. MTB at Port Street on Halloween. 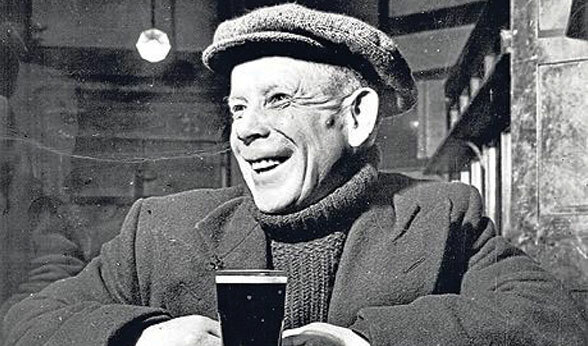 John Clarke – CAMRA, Opening Times, all round good egg. Summerwine MTB at PSBH or Beer Tasting at Caprices in Brussels where the first beer up was a 20 year old bottle of De Neve Gueuze. Playing Brewster at Red Willow. Spending a day brewing with Toby at Redwillow and getting paid in bottled Ageless, and of course, PSBH opening, then getting a job there! Beer and Food evening with Garret Oliver. Craft beer in Barcelona – it’s going mental in Catalunya now! The Gingerman in New York, 66 beers on draft, including a black IPA so good I can’t remember the name of it, from Bear Republic. Heaven. A pub crawl in Huddersfield. First batch of home brew on the new kit. Hello! 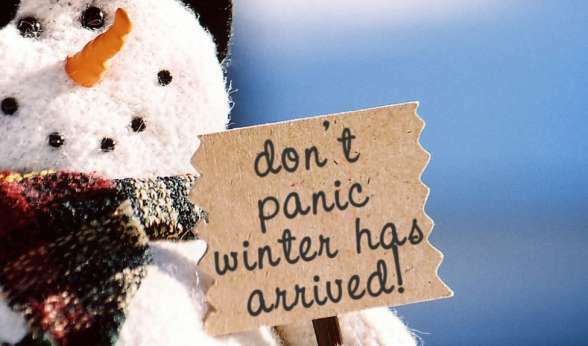 We have decided to extend some of the opening hours over the next couple of weeks, we are also taking a mini break, as we all need a festive holiday, even us! Sunday 1st – CLOSED / HAPPY NEW YEAR! 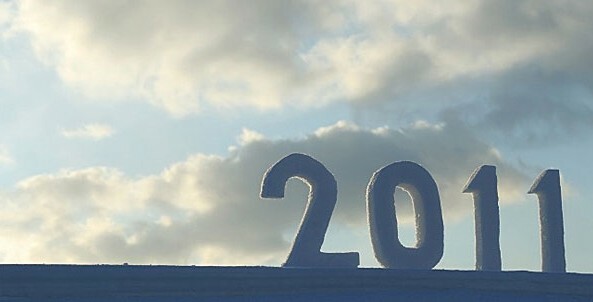 All the best for 2012 – Many thanks for all your support this year, we would be nothing without our amazing customers! CHEERS!